Special Offer! Very limited so book now! It’s time for another studio offer! To book please email me from here! Hurry offer only available to the first 4 people to book and pay in full, last month was a sell out in 1 day so do not waste time! This offer is available to the first four people that book and pay in full! 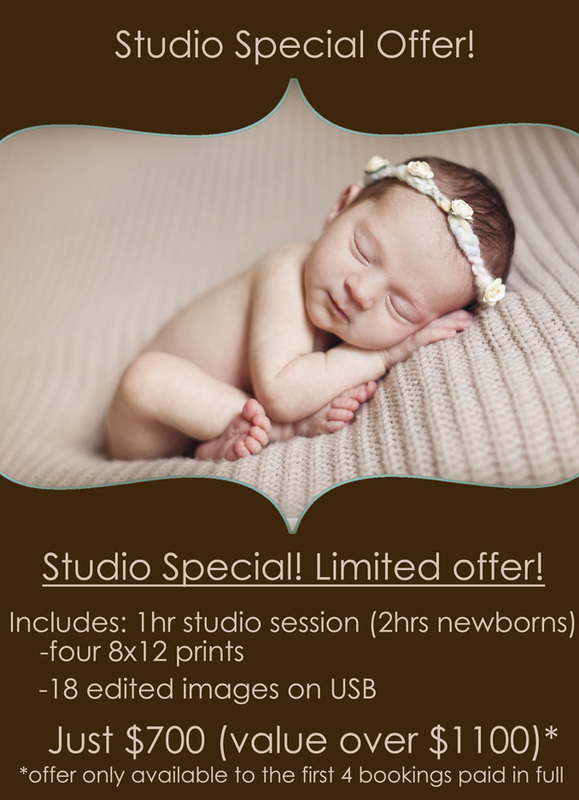 Hurry, don’t wait or you will miss this great opportunity to capture the most beautiful photographs of your baby! Session is to be held in March or April. Conditions- baby must be under 12 months old, maximum four people per session, session must held in my studio at Wamberal, images are chosen by the photographer and can be picked up or posted for a small fee, this offer is available for new bookings only, no other offers apply.